Internet, I hate you. Seriously, can’t a guy enjoy a surprise every once in a while? Apparently no, at least not with @evleaks on duty, as the Huawei Watch 2 has been unofficially unveiled ahead of the official announcement set for this weekend at MWC. 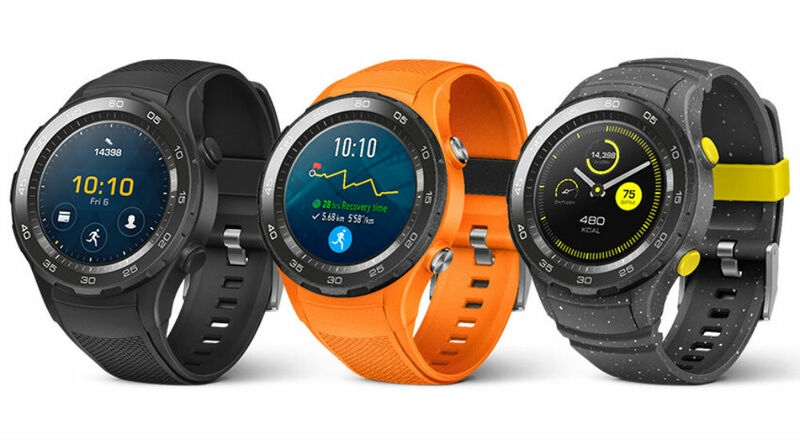 In comparison to the original Huawei Watch, we can clearly see that Huawei has a new approach for wearables — Fitness. 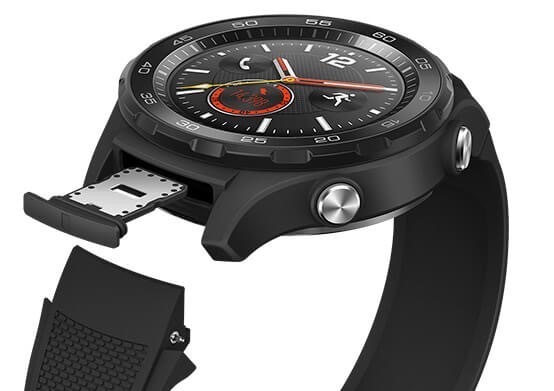 Unlike the OG Huawei Watch that was more catered to the fashion side of watch-sporting folk, the Huawei Watch 2 looks to be designed for runners and athletic types. With removable rubber straps and hefty looking bezel, the Huawei Watch 2 appears to also feature physical buttons at the 2 o’clock and 4 o’clock positions. As we can see in the renders, the straps are completely removable, actually being necessary to remove in order to access the device’s SIM slot (Yup, LTE connectivity onboard). The backside also shows a heart rate monitor, so yeah, another fitness smartwatch for 2017 confirmed. The renders also show off three colors: Black, Orange, and Black/Yellow with White spotting. We don’t have specifics on specs, pricing, or availability yet. Guess you’ll have to wait until the actual unveiling for those details. Don’t worry, it’s just a few days away now.